I have anxiety. Easy enough for me to type/ say that now but all my life it's been something that I've had to battle with right from a very small child. I didn't 'know about anxiety' or realise I had it until my early twenties. Up until then I thought I was just... I dunno I just thought I was not good at life like everyone else was. I have also always had OCD tendencies and nervous habits/ticks. In my mid-teens I went on the pill as we thought it was my hormones, and it 'seemed' to help. But by the time I was in 6th form college (about 17yrs) it was full blown and I was hiding it from everyone which made it worse. Despite several meltdowns at school I still never 'understood' what was wrong. I knew it wasn't right as no-one else seemed to be that way but I just thought I was weird and a big scaredy cat! In fact I'm pretty sure all my family thought I was just a very nervous and odd child. I was an odd child. It's a family joke, my brother always say he doesn't know how I've turned out so well given how odd I was. I think despite still struggling with anxiety regularly, I have turned out well, because I've been working at it so so hard, everyday. Week after week, month after month, year after year. I could write a thousand blog posts on how I've been working on controlling, tackling, managing, coping with, preventing and healing (etc etc) my anxiety, OCD, nervous habits and everything that comes with it. But today I want to focus on the newest aspect of my life that has helped me make the biggest and best leap in my life. The one that has been the quickest, easiest and most comfortable method for me - Meditation. In particular a programme called MINDSPO. I've dabbled in plenty of meditation in the past, but I never felt comfortable with it. Didn't think I 'could do it', didn't 'get it'. Now I know I just hadn't found the right programme for me. I came across MINDSPO after following the gorgeous YouTuber Rochelle Fox. As someone who struggles with anxiety etc, her channel is all about positivity and health, and being real, open and honest which I love. Not long after she started videos regularly she started talking about meditation. Talking about it in a way I connected with. No cliches, just a very modern, easy approach. 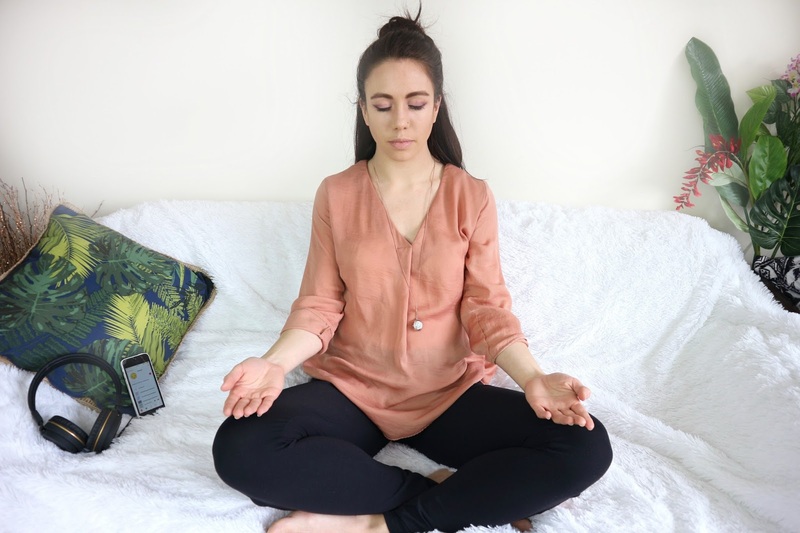 First came a 5 minute video which I watched and practiced over and over again and realised the potential of meditation for me. And then Rochelle along with her partner Chris, launched MINDSPO as a full course and I signed up the day it launched. MINDSPO is a very modern and cool and fun and accepting course that runs over a month. 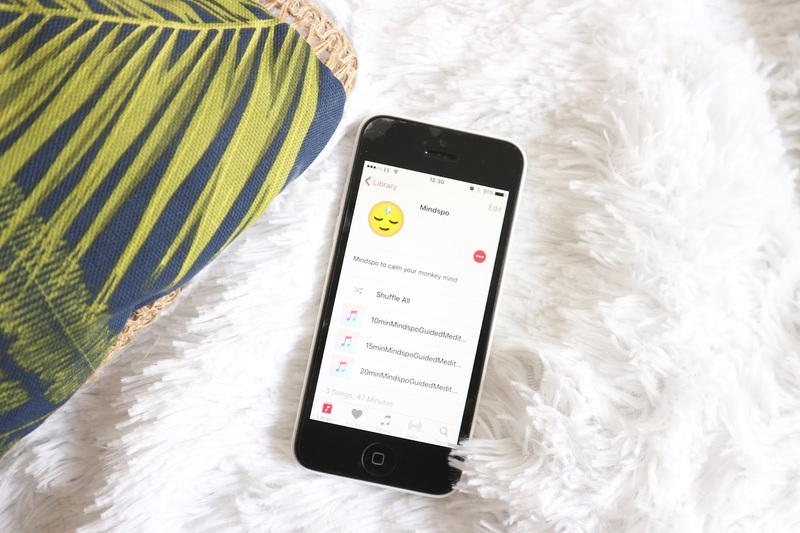 You get heaps of information videos and 4 weeks of meditation guides that start you from the very beginning to progress from 5 mins to 10 mins, 15 and eventually the optimum 20 minute meditation session. Rochelle narrates and guides you through every video, from the info videos to the actual meditation sessions. Once you've bought the course, you have it for life and can even download the audio files onto your phone etc so you can meditate anywhere anytime, which I've done and found invaluable. At first meditation can be hard to get to grips with, you're always thinking 'am i doing this right?' but that's the beauty of MINDSPO, Rochelle talks openly about that and so many other things that you might be struggling with. There is no 'perfection', no 'right or wrong', it's an open and accepting course that lets you just do it without any worry and soon enough you find you're meditating for 20 mins and it feels like the most refreshing moment of your life. Meditating 'with' Rochelle/MINDSPO has helped me in so many many ways. My anxiety is dramatically less frequent and less intense when it does occur. My mind is always so much clearer and more centred. It doesn't seem to buzz and hum and whiz about so much in a bundle of stress. When I have a stressful situation I find I can more easily step back from the situation or simply be calmer and more rational during it than before. Previously my mind would freak, I would sweat, tears would come to my eyes and I'd breath too heavily and occasionally have full blown panic attacks. FYI I haven't had one single panic attack since meditating daily. Honest truth. My OCD is well under control, I can identify it so easily now. I used to have lulls and be fine then get stressed (whether I knew I was stressed or not) and it would trigger my habits to full scale. Now I can identify those feelings, that need for control and accept it but also accept that it isn't necessary. I'm not saying I'm 'perfect' or 'cured' but I'm in control and I'm ok with it. That's a huge change that meditation has brought to me - acceptance. Part of my internal stress with anxiety etc came from myself. Hating myself because I didn't think I was 'normal', thought I was stupid, pathetic, weak, weird. I was ashamed and embarrassed. I would mentally beat myself up over and over and over. That obviously would make my situation worse, but the worse I was the worse I beat myself up. A vicious circle. Meditation made me realise that I am none of those things. Made me realise that in actual fact, the very fact that I have got through so much in my life despite my anxiety, despite not knowing what the hell was going on in my mind and why it was, I still got through it, sometimes I blooming exceeded despite everything. Meditation has taught me to be kind to myself, accepting of myself and more open and honest with others. This in itself has taken away a huge chunk of stress. Meditation has taught me control, and the fact that I can have control, without being over the top about it. At the same time it's taught me that I don't always have to have that control over some things, I will be just fine letting things flow. With meditation I sleep better, enjoy moment sin life more, don't over analyse situations before and after they happen. I laugh more and pretend to be 'ok' less. i'm more open and free to saying 'yes' to things. I'm also so much braver about things like being personal on this blog. I could go on and on about the positive effects but I think you get the picture...the benefits are HUGE & ENDLESS! MINDSPO and meditation has taught me so much already and I know I still have A LONG WAY TO GO but the change in me is pretty profound and I know that I always have MINDSPO as my guide. I know it sounds strange to credit so much to a course that on the surface doesn't seem to 'have much to it' other than sitting and 'not thinking' but honestly it is SO MUCH MORE THAN THAT. A million trillion times more than that. It both gives you so much and helps you take away so much. The only way to understand is to try it yourself, commit, be open minded and try. I've written the post purely motivated by my experience and have no affiliation with Rochelle or MINDSPO at all, other than the fact that I LOVE the course. I paid for the course myself with my own money and I would recommend it to anyone who hasn't managed to find a meditation course that they have clicked with yet. 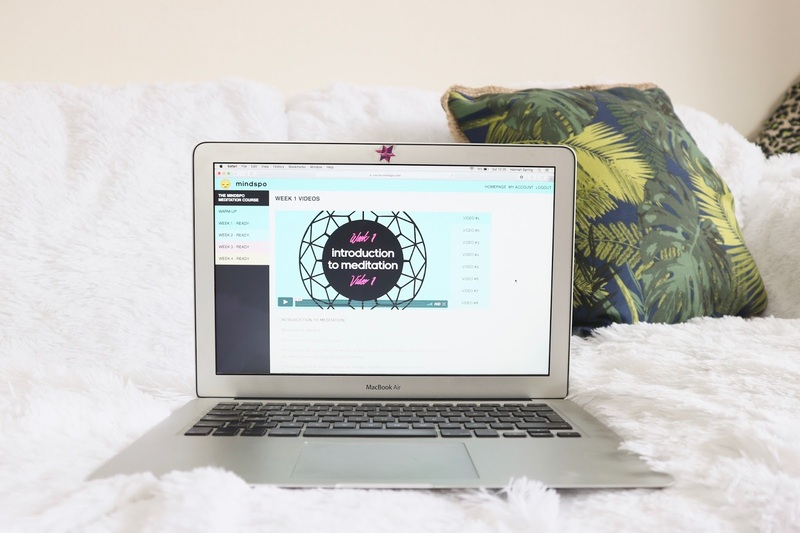 The latest MINDSPO course is now open to sign up to and I believe there is even a cheeky discount available, so take advantage. MINSPO is not expensive at all but every penny helps. I want to do another post on meditation that looks into it a bit more about techniques I've learnt etc so let me know if you'd be interested in that too. Happy meditating!